Since the 1980s, he has toured and served as master of ceremonies with a rotating cast of rock stars of a certain age, what he calls his “All Starr Band.” On Thursday, he shared a generous amount of stage time with Colin Hay of Men At Work, Gregg Rolie of Santana, Steve Lukather of Toto and Graham Gouldman of 10cc. After joking early on about his struggles to write, he performed his self-composed “Anthem” — for “peace and love” as the song goes. 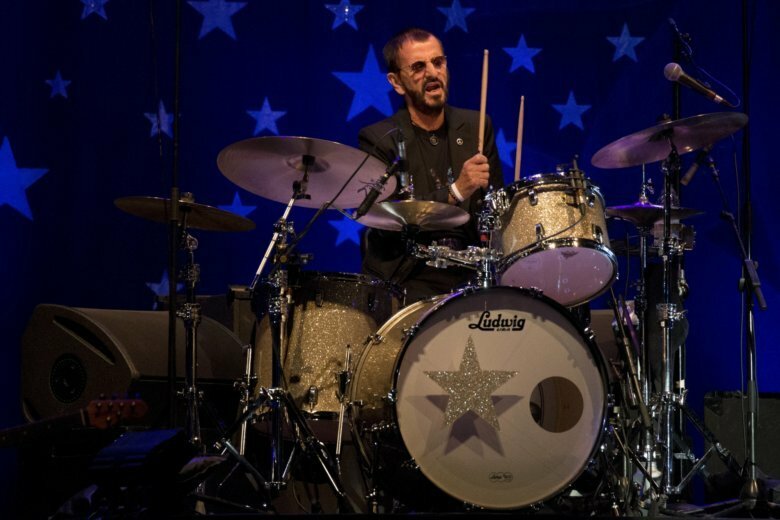 But the show builds up to his real signature song, and long-running tribute to his place in the world: Lennon-McCartney’s “With a Little Help from My Friends.” He didn’t need to introduce it, and hardly needed to sing it. He held out the microphone to the crowd and everyone seemed to join in.